Ss Rajamouli is known as a tough task master. He is known for dedication and commitment and is currently extremely busy directing NTR and Ram Charan in his upcoming multi starrer RRR, the second schedule of which started yesterday in Hyderabad. Rajamouli reportedly shifted along with his family to new house. It is known that the makers have erected extravagant sets at Aluminum factory in Nanakramguda. The makers also erected houses for Rajamouli's family and so Rajamouli decided to shift to the shooting spot along with the family. A source shares, “It’s a huge place and the makers have erected a big set in nearly three acres of land on a two-year lease. 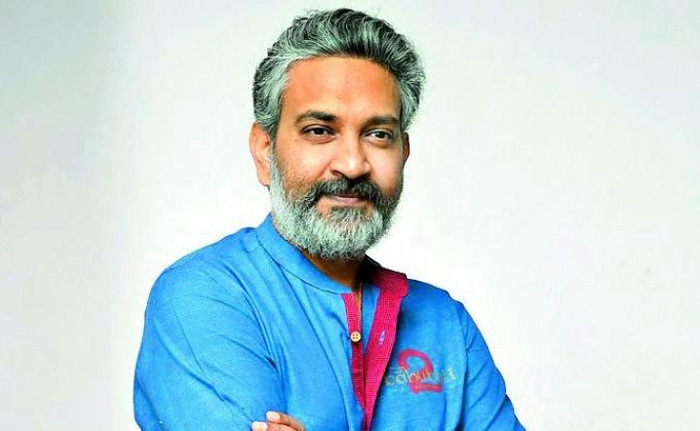 Along with the sets, they have also erected houses for Rajamouli’s family, for viewing the rushes and editing the film.” This shows Rajamouli’s dedication and commitment towards work. Apart from that the makers also erected sets to train artists and technicians and even arrangements are made to accommodate the film's cast and crew.